We are really pleased to announce that Ex-West Ham and Dagenham and Redbridge footballer, Anwar Uddin team has joined our education team and will be working with Luther Blissett, Paul Mortimer, Osei Sankofa and Clint Easton to help deliver anti-racism workshops alongside fun football fitness sessions in schools throughout London, East and South East England. 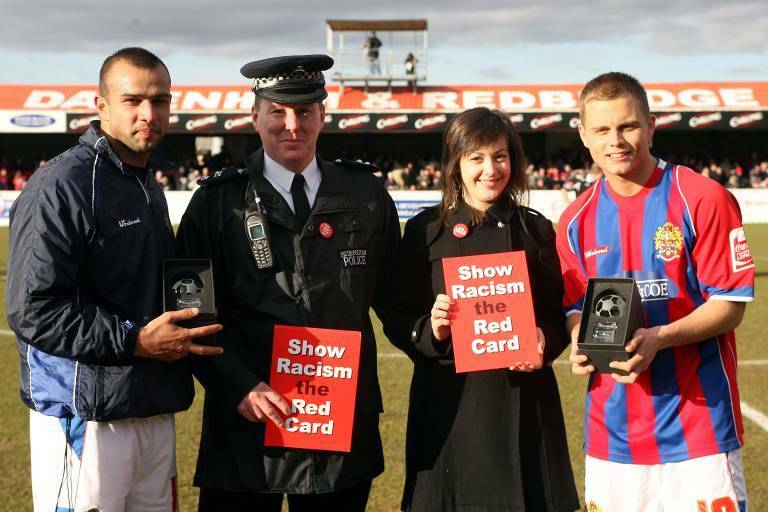 Anwar said: "I have been a proud patron of the Show Racism the Red Card campaign throughout my career and have been so impressed with all the work and events that have taken place over the years. Racism is an issue I feel strongly about, having experienced the ignorance and narrow mindset among some throughout my everyday life and within my playing career. I know however that there is good in everyone and as people there is so much to learn and offer from one another. I am delighted to join the Show Racism the Red Card team and help contribute to the fantastic work that is being done all over the U.K. It's vital we continue to educate and teach empathy to all those willing to embrace what Show Racism the Red Card is all about. Being one of the first British Asians to break into mainstream football in England I have a responsibility as a role model to help and encourage the younger generation and I believe being part of the Show Racism the Red Card team is the perfect way to do this."